East throws the dice. The player indicated by the dice count is the "wall breaker". The wall breaker throws the dice again. The total sum of the two dice throws is the "break count". From the wall in front of the wall breaker, count a number of stacks off the right end (in a clockwise direction) equal to the break count. These stacks should be shifted away slightly, and their (left) end become the "kong box". The stacks to the left of the split become the live wall. If the break count is greater than 17, continue counting into the wall breaker's upper (left) seat. The rightmost stack in that wall is counted as the 18th stack. Notice that tiles are taken off the live wall in a clockwise direction, which is different from the counter-clockwise direction of play. After breaking the wall, the players will be dealt their initial hands. East starts by taking two stacks (four tiles) from the live wall. Then South, West and North, in order, each takes two stacks. The above is repeated two more times, so that each player now has 12 tiles. East now takes the first and fifth tiles from the live wall. Then South, West and North, in order, takes one tile each. At this point, East should have 14 tiles, and every non-East player should have 13 tiles. The deal is complete, and East commences play. East starts the hand by discarding a tile. The players then, in turn, draw a tile from the live wall, and then discards a tile. The above sequence is interrupted when someone claims a discard. Play continues until either someone wins the hand, or the hand ends in a draw with the wall being exhausted. Before one's upper seat discards, one may not draw a tile, or stick out his hand into the river area to obstruct the vision of the other players. Drawing out of turn may be ruled as a "long hand". A player should look carefully at what the upper seat has discarded before drawing a tile. Once a player has touched the tile in the live wall with his hand, he is considered to have forgone his right to claim the discard. However, in case another player is claiming the discard, one may still claim the discard for a win, according to the "Precedence of Claims" rules (since in this case his action of drawing is cancelled by the rival claim). "Discarding before drawing" is strictly prohibited. Such may be ruled as forgetting to draw, resulting in a "short hand". After a tile has been discarded, once the next player has drawn a tile, and has either mixed the tile into his hand or has discarded, or declared a win or a kong, the other two players forfeit the right to claim the (former) discard. If after a tile has been discarded, the next player has drawn a tile (picked it up, away from its place in the live wall), but another player claims the discard before he mixes the drawn tile into his hand, he should replace the drawn tile into the live wall. But the next player to draw that tile, (provided that he is not the same player who has once drawn it) may elect to (before he takes the tile) either draw the tile as normal, or to designate that tile to be the next draw for the player who has once taken it, and instead take the next tile from the live wall for himself (because the other player has already seen the tile, which would be unfair to him). A player should draw at a reasonable pace (at least 1~2 seconds after the upper seat has discarded), and should not draw too fast with the intention of depriving other players' rights to claim the discard. A player should claim quickly without undue delay. Violators may receive a warning from the judge, or be penalized (especially by giving the benefit to the other player). A player who places a discard in the wrong position may be held responsible and penalized if an opponent tries to claim the tile which seems to be in the position of the last discarded tile. 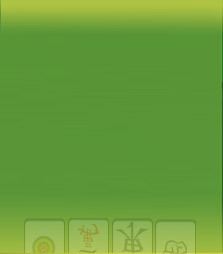 A player may not announce the name of the tile he is discarding. If one wrongly names a discard and causes an opponent to make an incorrect claim, one will be held responsible and penalized. A player is not obligated to show to his opponents whether he is discarding the same tile he has just drawn or not, nor from which position in his concealed hand he is taking the discarded tile; one may deliberately conceal this information from his opponents (though one should make his discard within the time limit). The opponent may try to observe from where one is discarding, and may use such information to formulate his strategy, but he does so entirely at his own risk. Also, any such information has no legal validity. (For example, if one sees an opponent discarding the same tile he has just drawn, one may not use such observation to support an application of the "Rule of Same-Turn Immunity" against an earlier discarded tile.) It is strictly prohibited for players to collude and deliberately use the position from which one takes his discards as a means of illicit communication.